Sydney abounds with some of the choicest beaches in Australia, and Tamarama Beach is among the ones that rule the roost. 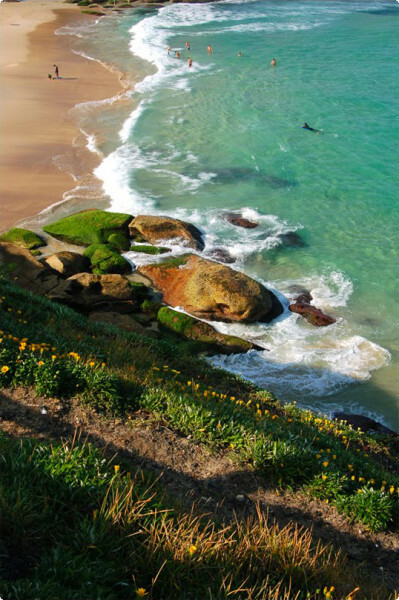 The Tamarama beach is extremely popular, and is much visited by locals and tourists alike. The beach is located in close proximity to the city center, just about seven kilo meters to the east of the C B D at Sydney. 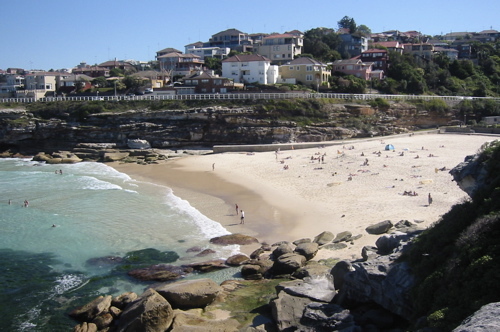 The famous Bondi Beach is a neighbor, in the south, as is the Bronte beach in the north. Tamarama was the Dixon Bay until the year 1800 ushered in a change of name. The beach was also home to the first coastal amusement park, which was built in the year 1887. The amusement park was called the Bondi Aquarium, and featured a roller coaster that dived and twisted over the Tamarama Beach. The amusement park was popular for quite a long time till it was ravaged in a fire, but work began on rebuilding, and was soon set up again. The amusement park continued quite some time again, and had a change of ownership in between that changed its name to Wonderland City, but the year 1911 was when the park shut its doors. The T S L S C or the Tamarama Surf Live Saving Club was begun in the year 1906, and this is among the first and the best lifesaving clubs in the world. Tamarama is referred to as “Glamorama” by fans; as the beach here is picture perfect its beauty, with pristine sands and crystal clear waters. The sheer number of excellent spots makes for a heavenly beach experience. For sunbathing and swimming, there is no better place. Tamarama is actually among the more advanced level beaches, and is not advised for beginner swimmers, as the water here is deep and small, with some treacherous currents here. The nature of the waves at Tamarama is such that there are sometimes rip currents present. There are inspectors though that are extremely vigilant and on the watch to save lives. There are some good facilities here. There are restrooms, umbrellas and deck chairs available.